Mineral white pearl with Dakota leather - Black/Black world with contrast stitching, 1 Former owner covered only 8k miles, 7 seats, Cost New £63k with over £5k Factory Extra's:- Carbon fibre M Performance exterior pack, 21" M Double spoke alloy wheels in gloss black, Black exterior pack(rear spoiler, front grille, roof rails), Sun protection glass, BMW Individual piano black trim. STANDARD FEATURES:- Xenon headlights with LED running lights, Reverse camera with parking aid front and rear, Park distance control, Driving assistant pack, Electric heated front seats + driver memory, Professional twin tuner radio with single CD player and MP3 CD playback facility, Advanced loudspeaker system, DAB radio AUX/USB, Bluetooth telephone connection with USB audio interface, iDrive controller and display with 10.2" colour display monitor, Professional multimedia navigation system, Cruise control with brake function, Leather multi function steering wheel, Dual climate, Ambient led lighting + more! Sakhir Orange with Extended Merino leather upholstery - Black with Silverstone stitching, 1 Owner backed with Full BMW Service History, Cost New £65k with £7k Extra's - 19" light alloy wheels M Double-spoke in Jet Black, Sun protection glass, Active security pack, Advanced parking pack, Surround camera system, Reversing camera, Adaptive headlights, Comfort access system, Driving assistant pack, High beam assistant, Lane change warning system with blind spot check, Harman/Kardon surround sound, Head up Display, Heated steering wheel, Electric sunblind on rear window, Piano Black trim. 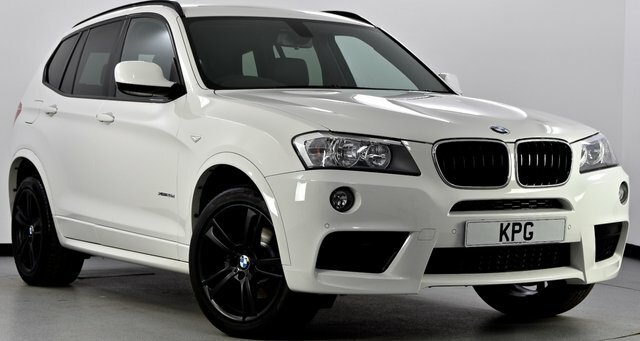 STANDARD FEATURES:- Adaptive M Sports suspension, Drive Performance Control, Xenon headlights, Carbon fibre roof, Pro media pack, Satellite navigation, BMW professional radio/CD/MP3, Bluetooth audio, DAB Digital radio, Cruise control, Electrically adjustable front seats - driver seat with memory, Dual zone climate, Heated front seats, Multi-function controls for steering wheel + Much More! Carbon Black with Black Nevada Leather, 2 Former Owners backed with Full Service History (6 Stamps), Cost New £58k with over £8k Factory Extra's - Panoramic glass sunroof - electric tilt/slide, 20" M double spoke alloy wheels in anthracite, Sun protection glass, Comfort access system, Exterior mirrors folding and anti dazzle, Exterior trim high gloss shadowline, Heated front seats, Media package professional, Pro satellite navigation system, Enhanced bluetooth with telematics, Voice control, Professional hi-fi loudspeaker system, DAB digital radio, USB/Bluetooth audio interface, Dark bamboo trim. STANDARD FEATURES:- Xenon headlights with LED running lights, Park Distance Control Front & Rear, M Sport Multi Function Steering Wheel with paddleshift, Digital Climate Control, Auto Lights & Wipers Function, Auto dimming rear view mirror, Cruise Control, On Board Computer With I-Drive, Remote Central Locking, Electric windows + Much More! 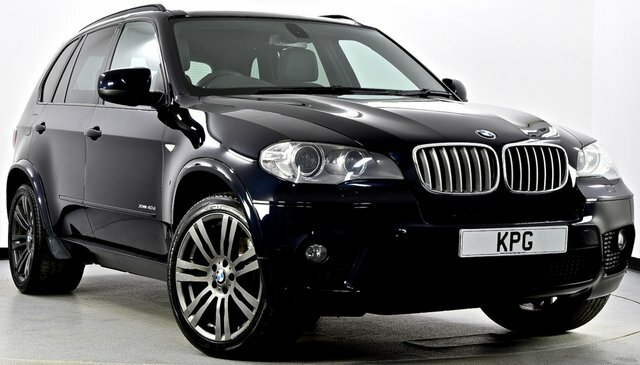 Kaim Park Garage Ltd is the best place to find great deals on used BMW cars for sale in Bathgate. With years of experience helping motorists to track down their dream vehicles, our team is well placed to make sure you find a used BMW to suit your budget and lifestyle. Outstanding deals are available on nearly new hatchback models such as the BMW 1 Series, as well as stunning two-door rear-wheel drive coupés like the BMW 4 Series. All of our used BMW cars are given a thorough inspection before arriving on the forecourt, so you can drive away with complete peace of mind. Browse our latest range of used cars now.